Fostoria Romance Mayo: the bowl is 5" across, the underliner is 6.3" wide. 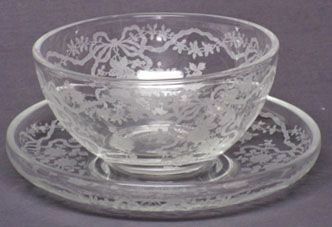 The Romance etching was produced from 1942-82. This set is in mint condition.